What is the POWER+ Plan? The POWER+ (Plus) Plan is a $10 billion initiative to assist communities struggling with the decline of the coal industry in growing and diversifying their economies. The Plan, which reflects a number of policy ideas that originated in coal country, was proposed by the White House and currently sits before Congress. The POWER (Partnerships for Opportunities in Workforce and Economic Revitalization) Plus Plan consists of four pillars. Learn more about each policy pillar below. Todd Howard previously worked in the coal industry but transitioned to local agriculture as the industry has declined in Eastern Kentucky. Todd is currently piloting a project that would produce hemp on reclaimed strip mines. RECLAIM Act: Creating new jobs and development opportunities by reclaiming abandoned coal mines. This pillar would disburse $1 billion to create long-term economic opportunities in agriculture, energy, recreational tourism, and more on reclaimed coal mines. Ensuring the health and retirement of coal miners and their families. This pillar would shore up struggling healthcare and pension plans that support more than 100,000 retired United Mine Workers of America (UMWA) miners and their families. Supporting economic diversification and job creation. This pillar would put at least $55 million towards workforce development and retraining programs for desolated workers. This funding would be distributed to programs through a variety of federal agencies. Deploying carbon capture and sequestration technologies. This pillar would provide $2 billion in tax credits for power generators to adopt carbon capture and sequestration technologies. How will the POWER+ Plan help our communities? 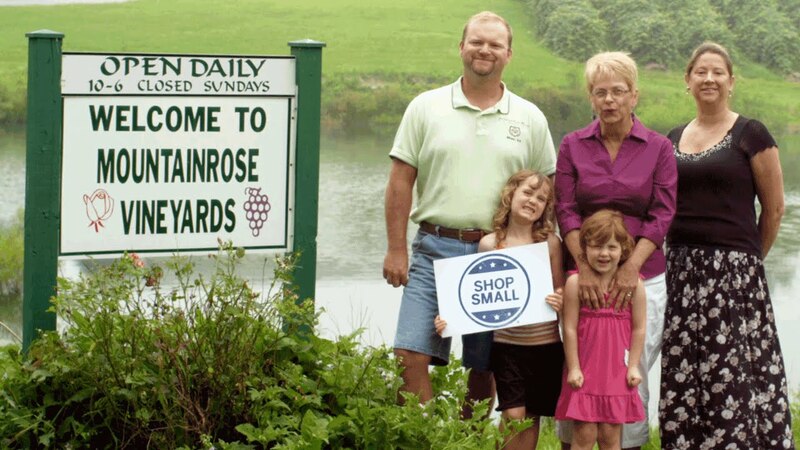 MountainRose Vineyard in Wise County, VA is located on a reclaimed coal mine. The POWER+ Plan provide an immediate economic boost through the release of $1 billion to reclaim abandoned coal mines. This money could put laid off miners—who possess the earth-moving skills necessary for reclamation work—and others to work reclaiming mines. The RECLAIM Act, a bill introduced in February 2016 by a bipartisan group of legislators led by Congressman Hal Rogers, mirrors this pillar of the POWER+ Plan. Estimates from OSMRE show the funds would create 4,600 reclamation jobs across the country. Reclaimed sites could serve as locations for long-term economic opportunities to create permanent local jobs. By empowering citizens in coalfield communities to turn old pollution liabilities into business opportunities, the POWER+ Plan could help create a strong, just, and sustainable economy in Appalachia at a time when the economy is in dire straights. In 2015, the Omnibus bill included $90 million for mine reclamation pilot projects in PA, WV, and KY. Abandoned underground and surface mines across the country have been leveraged to create thousands of jobs in agriculture, recreation, tourism, renewable energy production, retail, and beyond. View some examples below. The North Branch Potomac River in Maryland was once decimated by acid mine drainage from a nearby coal mine. The river, which ran orange from the pollution, was reclaimed by the state AML agency and now runs clear enough to support a bustling local recreational tourism industry. In Germany, the Leipziger Solar Plant and Borna Solar Plant are located on reclaimed sites that were once home to a coal ash disposal and a coal processing plant and whose solar arrays jointly produce 8.4 MW of electricity. When installed, the Leipziger plant was the largest solar array in the world. The POWER+ Plan would ensure that more than 100,000 retired coal miners and their families receive the healthcare and pension payments promised to them for many years of hard work in the mines. Supporting the livelihoods of thousands of senior citizens, widows, and retirees—many of whom are low-income—is an important piece of building a bright future in our communities. The fund that delivers these crucial payments has plunged dangerously close to insolvency, due to the Great Recession and decreased employer contributions as the coal industry has declined. The POWER+ Plan would secure the long-term solvency of the United Mine Workers of America (UMWA) 1974 Pension Plan and would ensure that the 11,000 retirees who lost benefits due to the recent bankruptcy of Patriot Coal receive the packages they earned. The payments have a significant impact on local, rural economies as these dollars are spent and their effect multiples. The combined annual payments of all UMWA funds (not just the 1974 Pension Plan) contributes more than $1.1 billion to state and local economies throughout the country. "There are literally thousands of retirees and widows throughout America's coal-producing regions for whom this legislation is a matter of life or death," UMWA International President Cecil E. Roberts said. "Through no fault of their own, they are in critical danger of losing health care benefits they earned though a lifetime of dangerous, backbreaking work. This legislation would preserve those benefits, and ensure that they have the dignified retirement they deserve..."
In 2015, the pillar of the POWER+ Plan that supports pension and healthcare payments was introduced in Congress as the Miners Protection Act. It was supported by the White House and bipartisan sponsors in the House and Senate. The bill has yet to make it through Congress, but the UMWA and sponsors in Congress continue to push for its passage in 2016. The POWER+ Plan will provide at least $55 million to assist dislocated workers find new jobs and help transition local economies by strengthening broadband access, tourism and recreation, local food production, substance abuse treatment, and more. Job training programs that empower laid off workers to transition to new, good-paying jobs is an emphasis of the Plan, and projects will be anchored in communities affected by the decline of the coal industry. Kimberley Shepherd of Harlan County, Kentucky is helping build a bright future in her community and is currently training to be a welder. The POWER Initiative was launched by the Administration in 2015 as a "down payment" on the much larger POWER+ Plan, which must still make its way through Congress. POWER Initiative grants are designed to prepare communities to take full advantage of POWER+ funding down the road. These grants empower communities to strengthen their economies through worker retraining, place-based development, and other avenues. The projects funded through the POWER Initiative in 2015 (see below) provide a good glimpse at the types of programs that will be funded on a larger scale by the full POWER+ Plan. Coalfield Development Corporation received $600,000 for a project that will support agriculture production on reclaimed surface mines in West Virginia and provide job training and business incubation services around the local foods sector. Appalshop in Eastern Kentucky received $275,000 to work in collaboration with community college to implement a one-year IT workforce certificate. The Chicago Transit Authority (CTA) received $200,000 to train bus diesel mechanics and technicians as part of a plan to transition a retired power plant into a bus storage and service facility. The Commonwealth of Kentucky received $3 million to build out broadband infrastructure, which will open up many more economic opportunities in Eastern Kentucky. The East Tennessee Development District received $35,000 to develop a strategic plan to improve broadband access in the region. The Kentucky Center for Agriculture and Rural Development received $500,000 to strengthen the local food supply chain in the region. West Case Substance Abuse Treatment received $1.2 million to build a residential child care center and substance abuse treatment center for women in Eastern Kentucky. Friends of Southwest Virginia received $350,000 to help build on momentum in their tourism and recreation sectors and provide training for entrepreneurs and others seeking high-demand occupations.